Hunterston B is a nuclear power station situated in North Ayrshire, Scotland. It is located about 9 km south of Largs and about 4 km north-west of West Kilbride. It is operated by EDF Energy. It currently generates up to 960 MW. End of generation is currently estimated by EDF Energy to be in 2023. Construction began in 1968 and it was commissioned in 1976. It started generating on 6 Feb 1976. 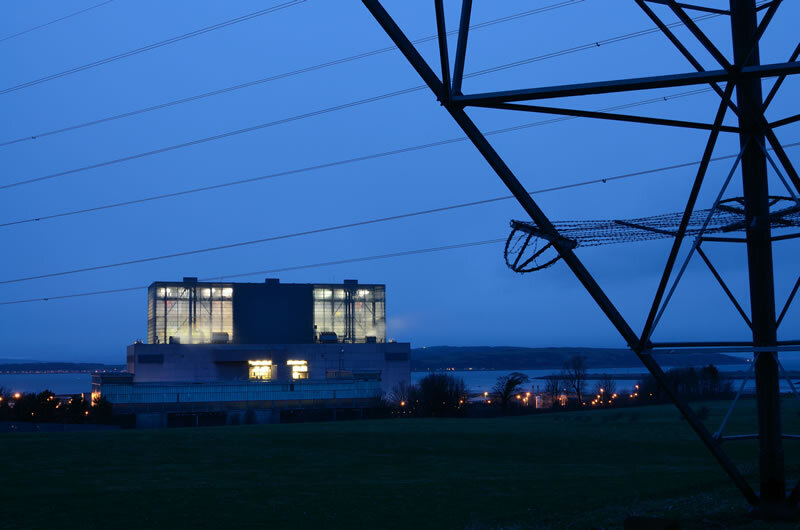 Hunterston B operates two advanced-gas reactors (AGR) and is capable of supplying 1.7 million homes. Hunterston B is operated by the licence holder EDF Energy Nuclear Generation Ltd, a subsidiary company of EDF Energy plc.